According to the CNESST document Sécurité des machines : danger de contact avec une pièce en mouvement, which addresses the dangers of coming into contact with moving parts, work accidents involving machines are often a result of workers being exposed to the moving parts of a machine in operation. To eliminate worker access to a machine’s moving parts, which could result in lacerations, burns, amputations and even death, the employer must install guarding or protection devices to control access to moving parts on a machine in operation. These are the standards set by the CNESST. They are mandatory and essential to worker safety. The most obvious benefits of using Renfort guarding is that it is easy to use and does not interfere with the operator’s work. 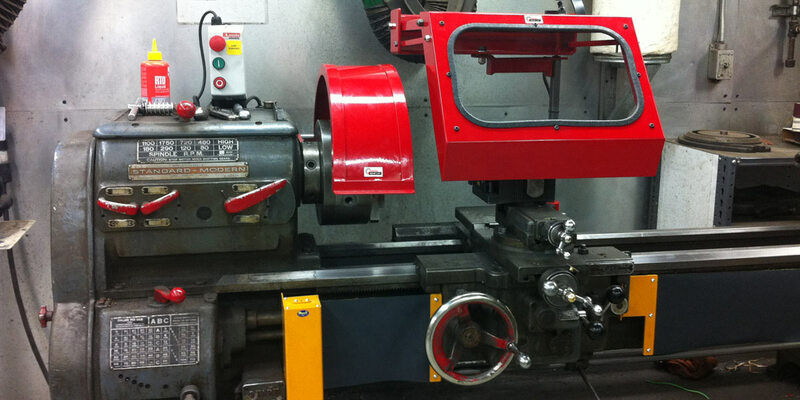 Groupe Renfort’s top-notch team can identify lathe safety issues, assess risks, take the necessary corrective actions and design and implement the right protective measures. Groupe Renfort is your partner for installation and integration! Contact us to make sure your employees stay safe!